Giving up to make progress? So, the bad news is that I have given up trying to print out all of the Mendel parts using OverlapStrap 😦 However the good news is that I now have a full set of Mendel RP Parts that materialized themselves sometime on Nophead‘s 3D printer(s) and which was then bought from him via his ebay shop. It seems a shame that I didn’t ever fully manage to bootstrap Mendel using my own repstrap, but at the end of the day it was never really my goal. I really started out on this journey because at the time no one seemed to be selling Mendel parts, and of course this is increasingly becoming untrue. 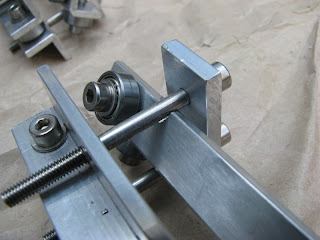 I think I have learned a lot putting OverlapStrap together and proved to myself that given enough time, I could have printed out the missing parts and upgraded the machine bit by bit until it had become a Mendel. I believe I have also inspired at least one or two people to create designs that use elements of OverlapStrap, so I think will continue to document and develop OverlapStrap but it is likely only to be driven by other people taking an interest in the design. I never managed to get it running on belts, but I did have designs for how the belt driven “upgrade” would work. 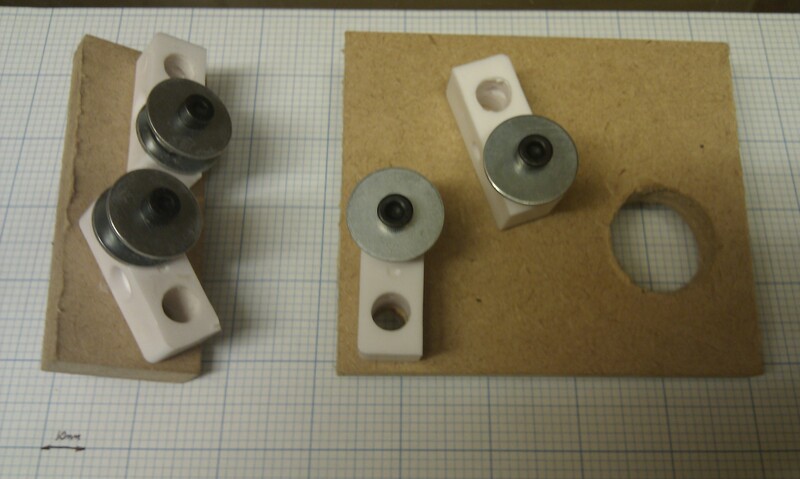 For example here are the Y-axis belt idler and motor mounting blocks. 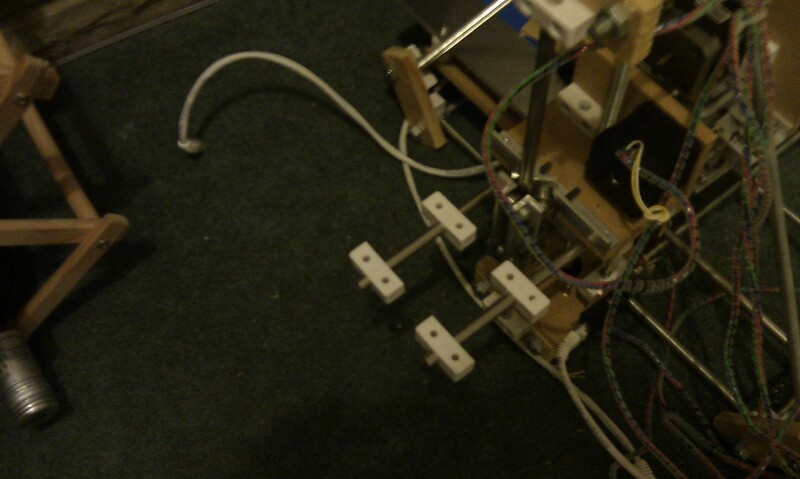 And here is a photo of the x-axis fixit blocks which would have attached to the x-axis motor mounting plate. More than one or two people where inspired: http://pasutx.blogspot.com/2010/08/x-axis.html Thanks for sharing your experiences. Next Next post: The strangest gift my fiancée gave me.